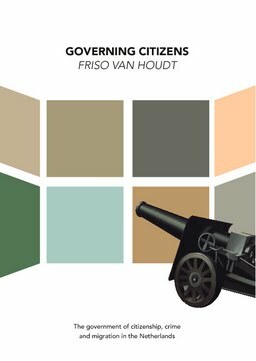 Governing Citizens is about the striking changes in the government of migration, crime and citizenship in the Netherlands over the past thirty years. The dissertation is based on a reconstruction of Foucault’s governmentality lectures. Citizenship is studied from a governmentality perspective as a technique that functions in relation to other techniques of sovereignty, discipline and government. Hence, it is related to mushrooming detention facilities, parenting courses, assimilation, selective incapacitation, responsibilization and other techniques invented to govern contemporary predicaments of control. The book presents new concepts to understand the present government of citizens such as neoliberal communitarianism, the migration control predicament, and the distinction between facilitative responsibilization and repressive responsibilization. It raises one question in the end: do we want to govern (non-)citizens the way we do?